Losing your teeth is a difficult experience. Whether it’s a single tooth or multiple teeth, gaps in your smile can affect your confidence and alter the way you eat and speak. At Northway Dental Practice, we understand the negative effects of tooth loss and offer our patients a number of solutions. Our dentists can restore your smile and dental function by filling the gaps left behind by lost teeth through a range of simple, painless treatments. 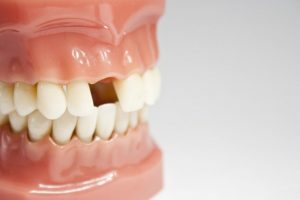 We offer removable appliances such as dentures to replace missing teeth, as well as more permanent solutions such as bridges or dental implants.